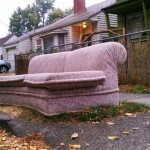 For the past year, I’ve been taking pictures of couches that have been left out on the sidewalk. 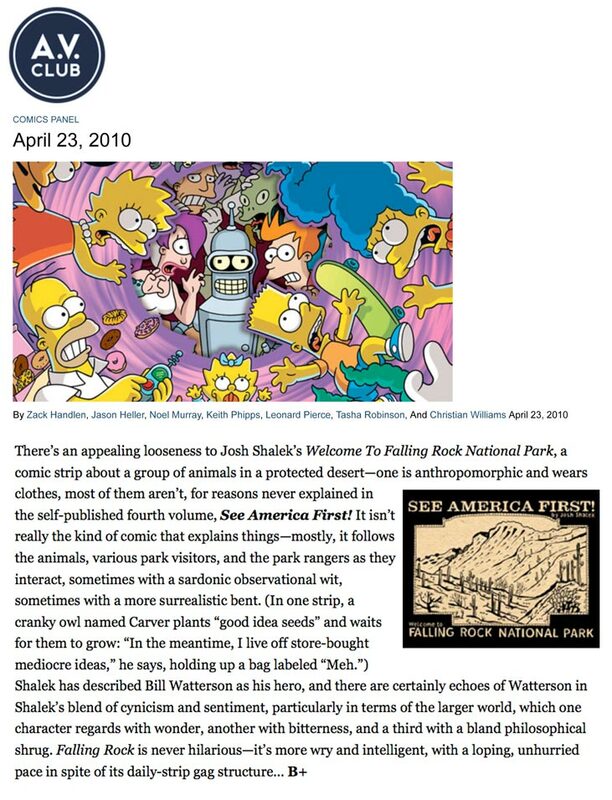 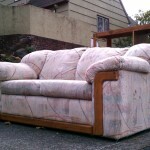 For the first time, I’ve collected them and present them to you, dear readers. 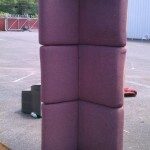 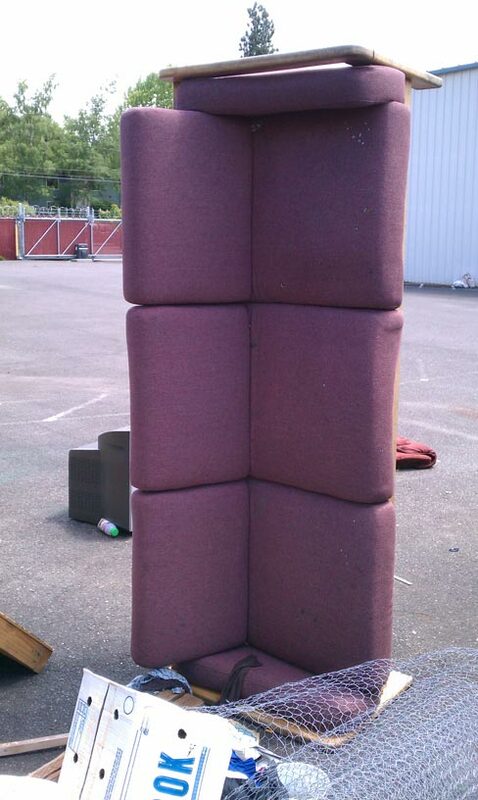 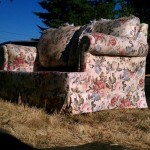 My hope is these discarded couches, when viewed as a group, become something more. 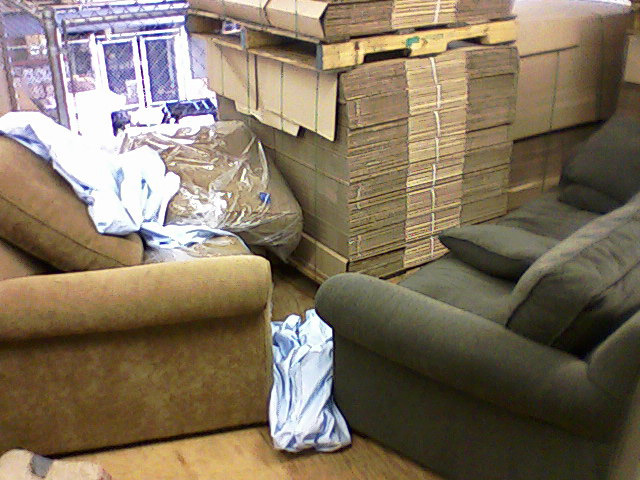 Like a flock of brokendown flightless birds. 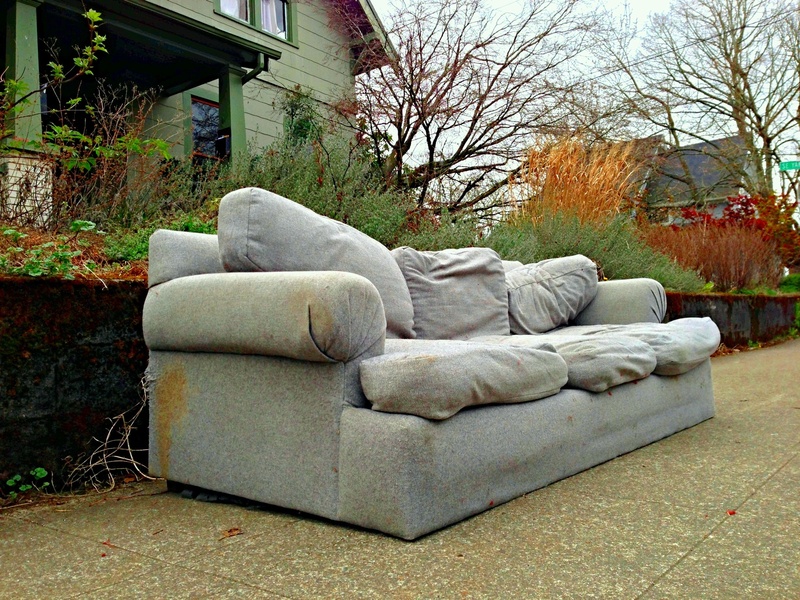 Here’s a nice couch (cover included) found in NE Portland this gray April afternoon. 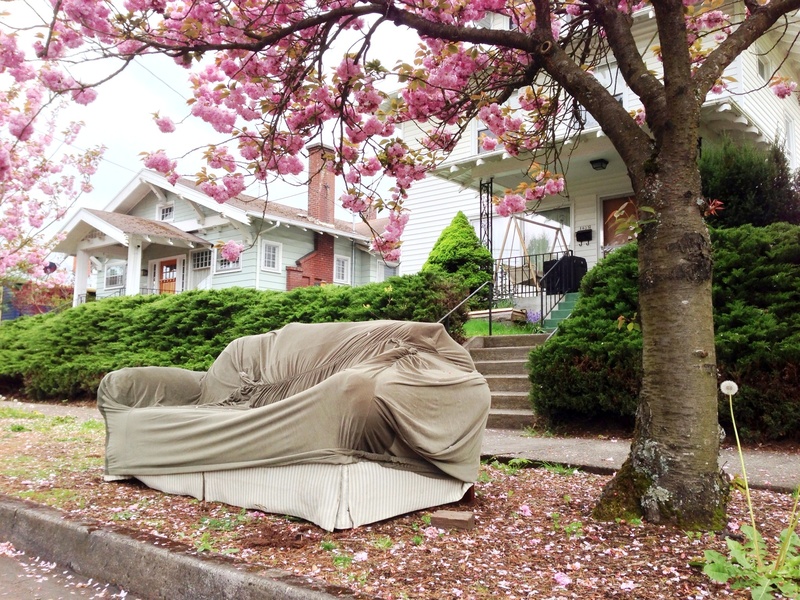 Nestled beneath a blossoming tree, this couch would make a wonderful addition to any home. 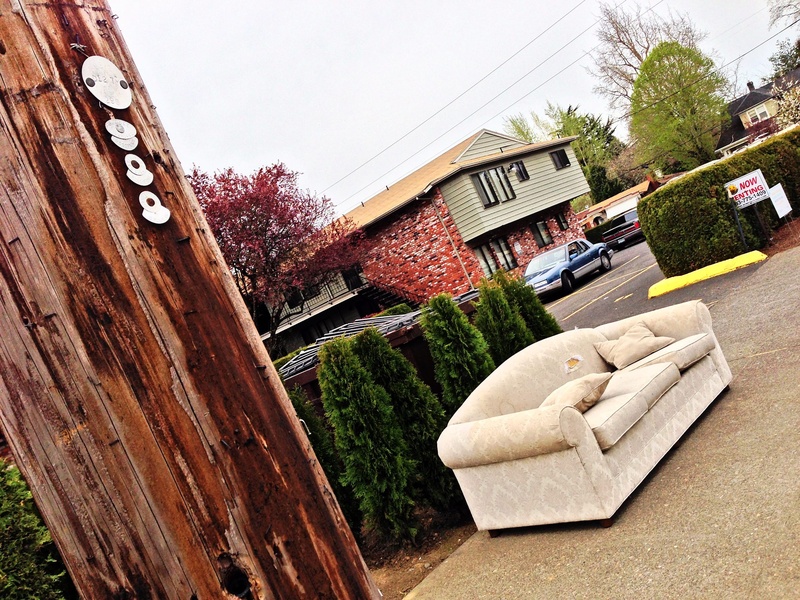 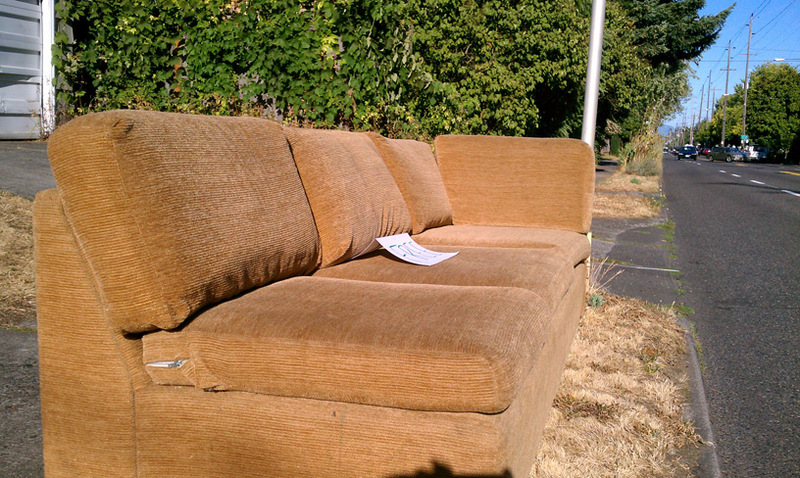 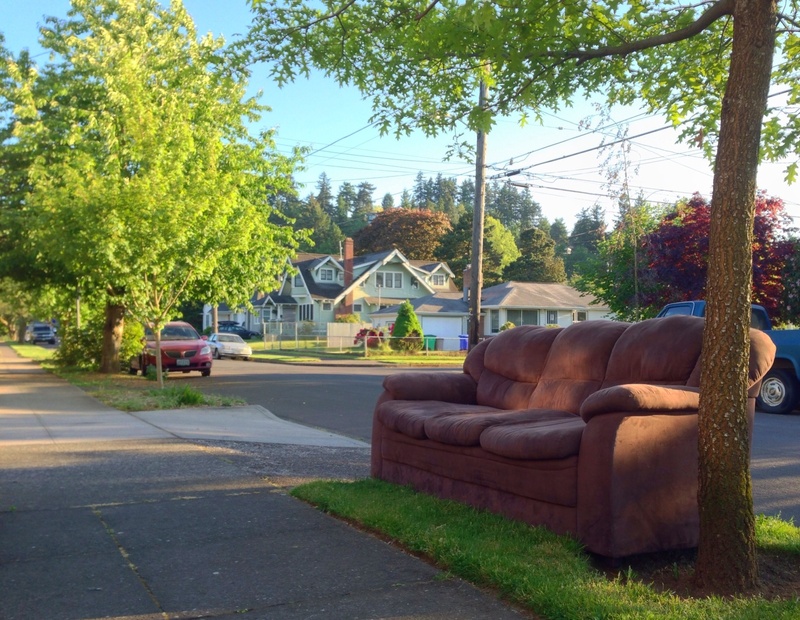 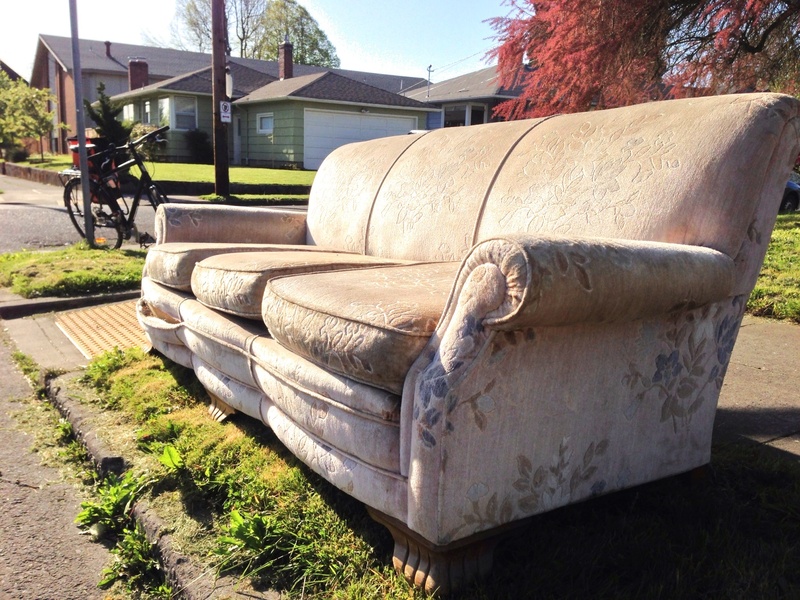 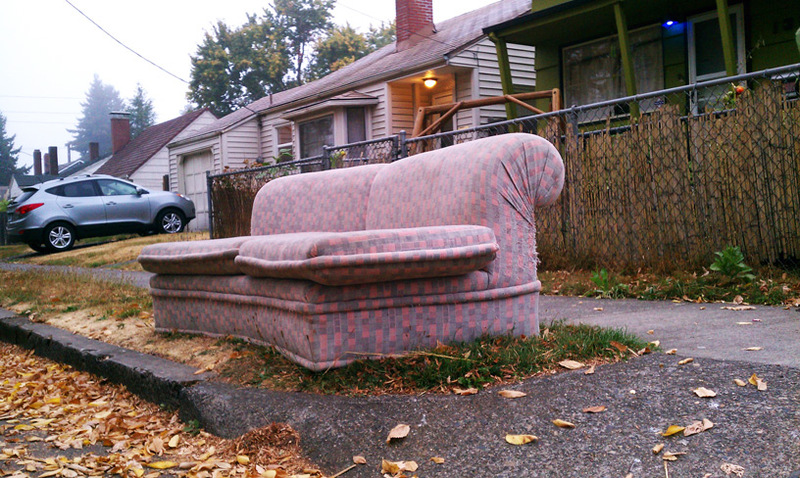 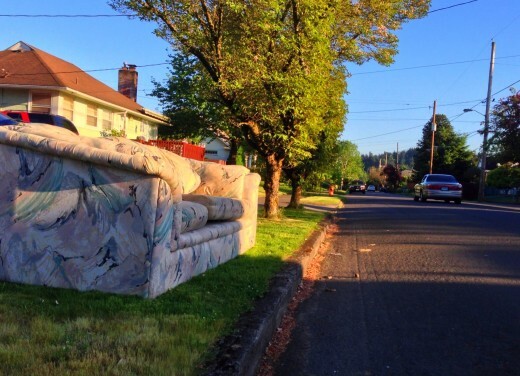 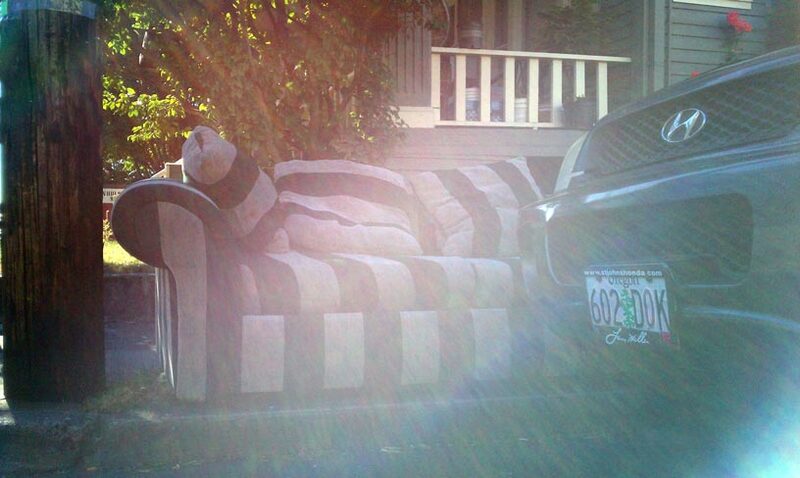 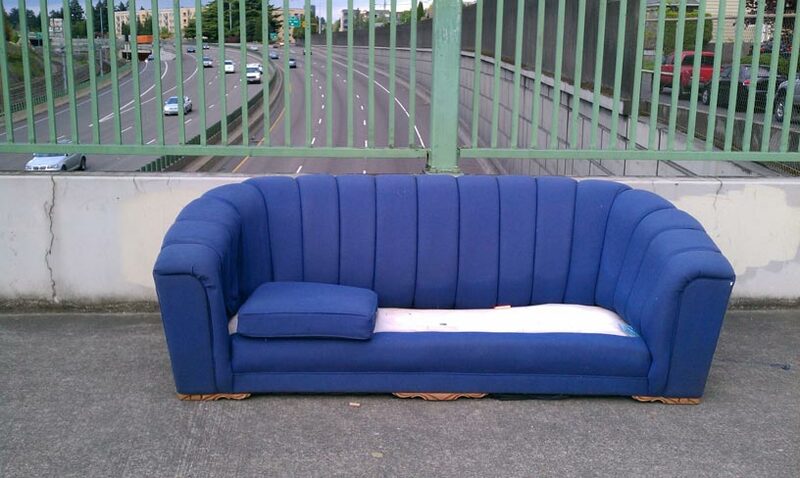 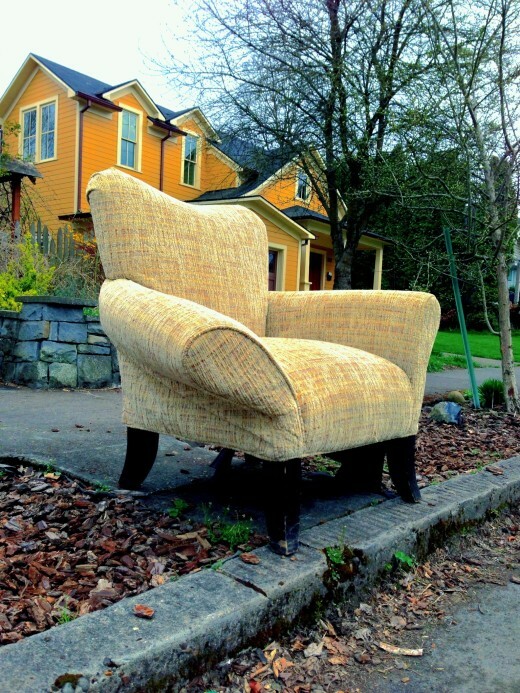 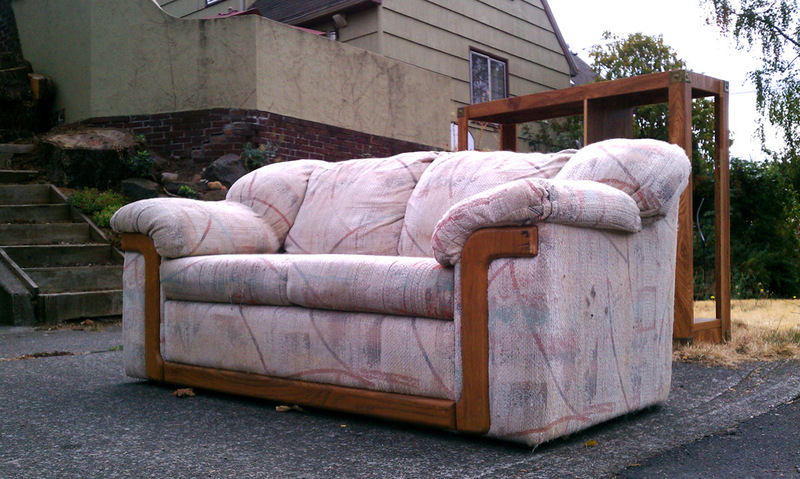 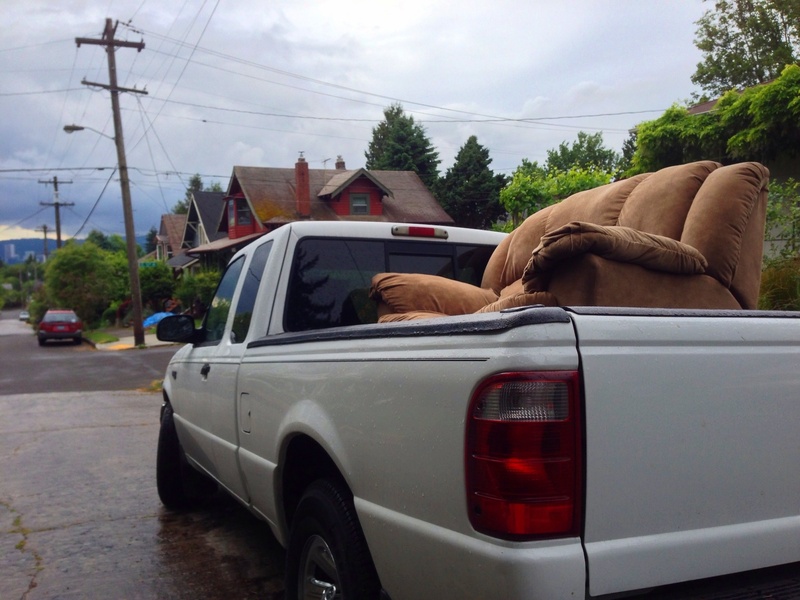 This couch can currently be found on SE Stark Street, just hanging out on the corner. 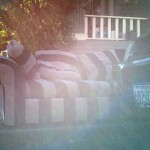 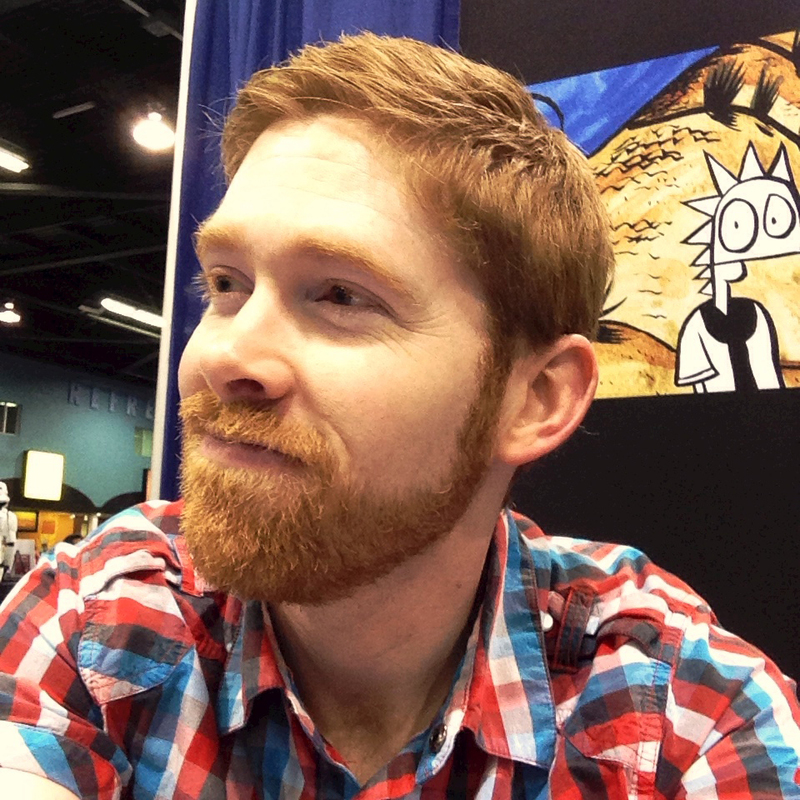 You can see my bike in the background, but that is not up for grabs. Although these may not be discarded (they may have been removed temporarily for other purposes), I felt they were worn enough to justify their inclusion in Discarded Couches of Portland. 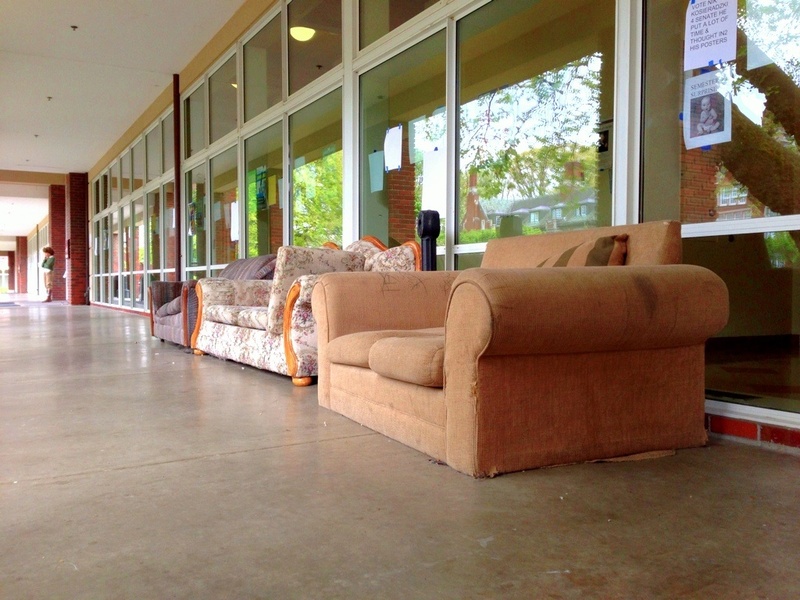 These could be found on the Reed campus this morning. 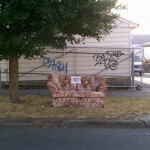 This couch was found among the piles of end-of-year rubbish at an accredited liberal arts college. 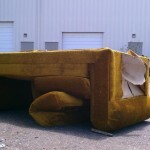 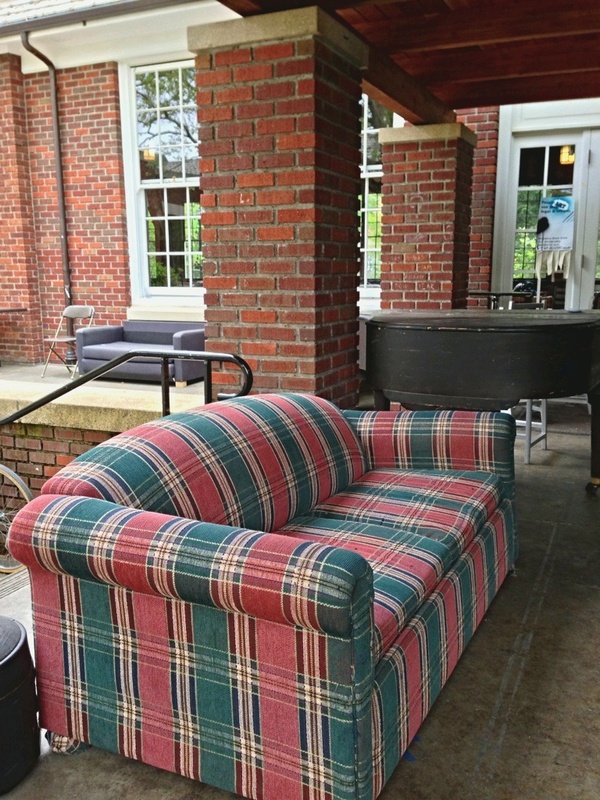 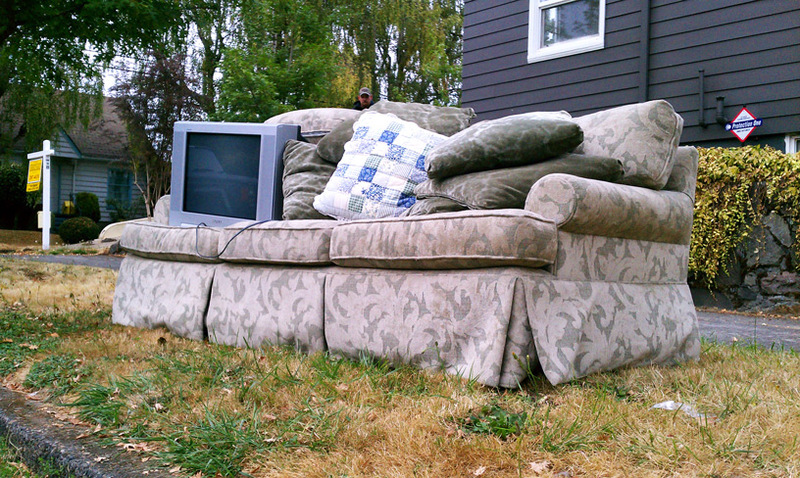 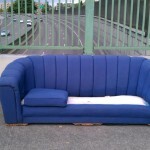 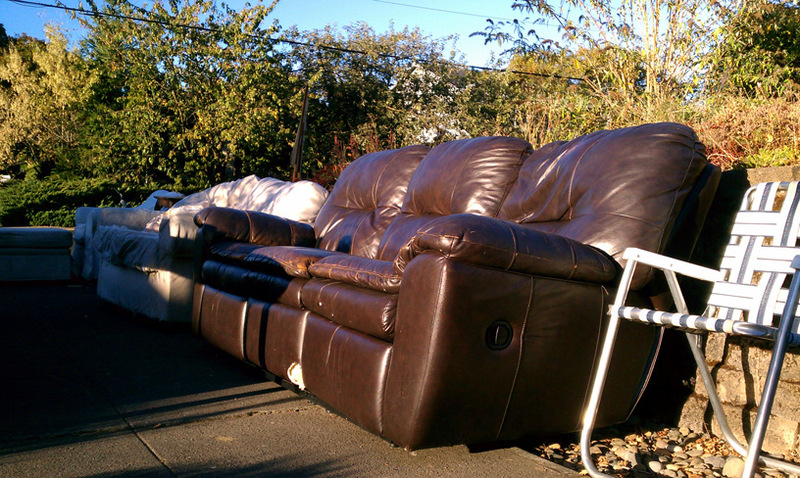 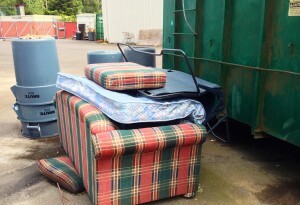 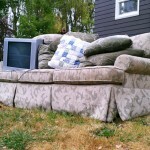 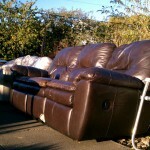 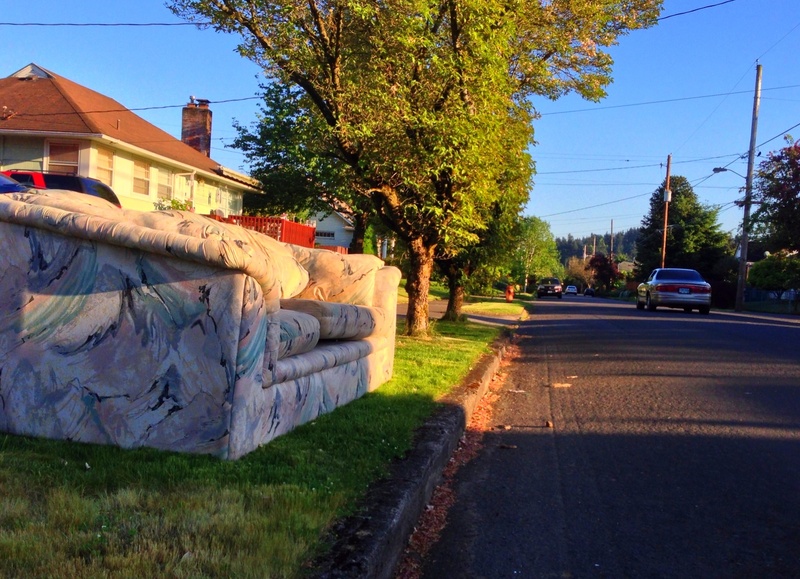 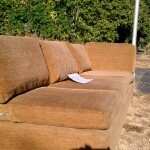 It is perhaps the most justifiably discarded couch this blogger has come across. 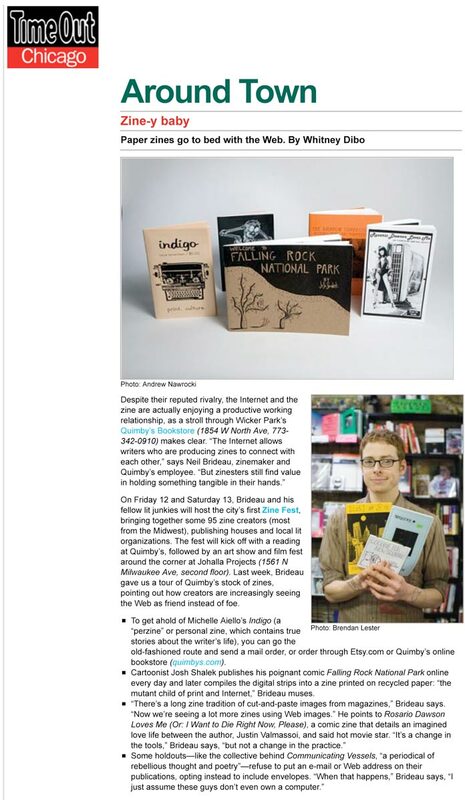 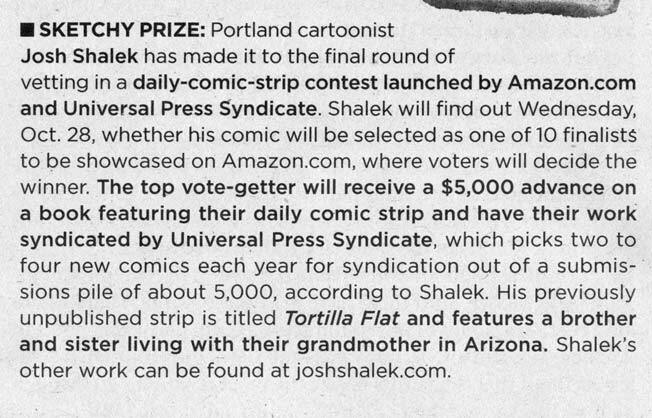 How many 18-22 year-olds have crashed on the fold-out? 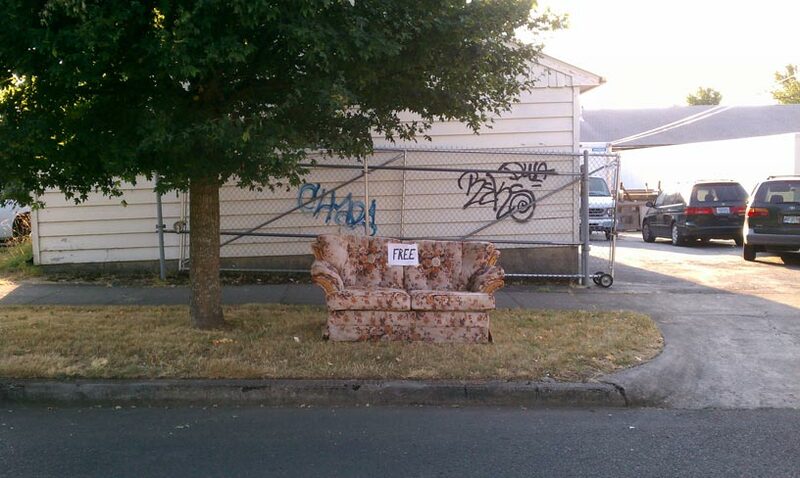 How many awkward embraces has this couch hosted? 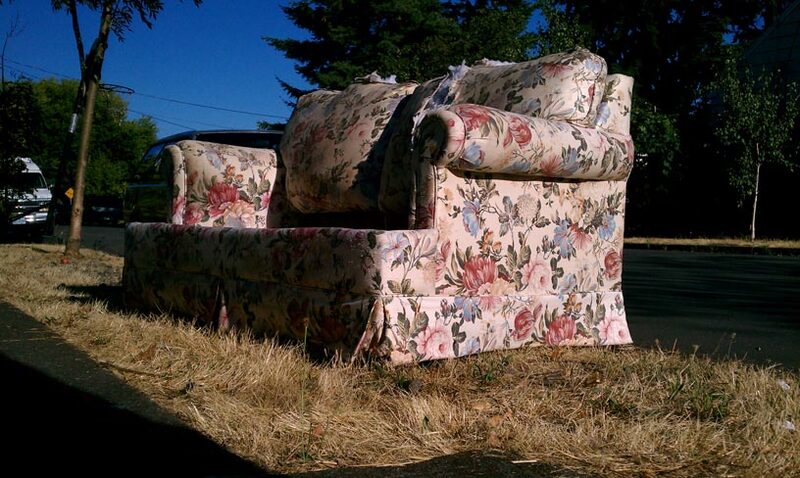 The couch isn’t talking. 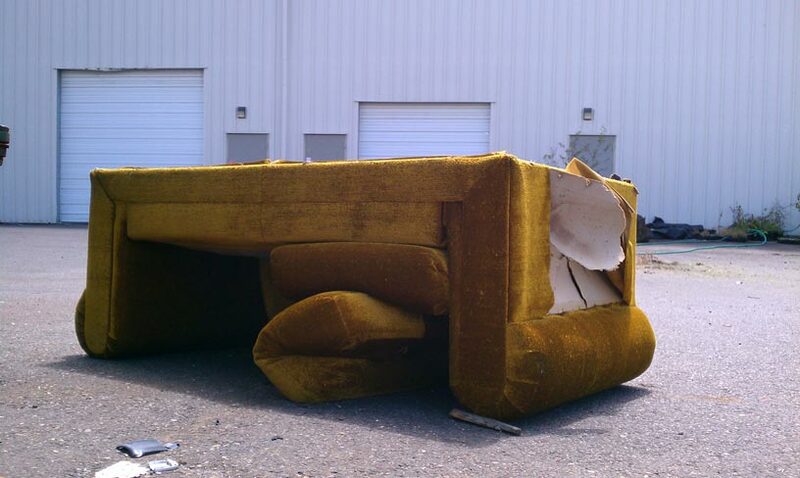 Discarded couches tell no tales.